Before we can really take effective care of ourselves, we need to understand our intrinsic nature and how it seeks to express freely in our lives. The process coaching examines our expression and cultivates the behaviors that help us heal and flourish. When change is needed, advised or imposed it is meaningful to have expert support. Change is a process, it takes time, courage and a readiness to begin. This dynamic approach to health and healing blends the neuroscience of behavior with the twin sciences of Ayurveda and Yoga. It’s the ultimate lifestyle medicine precisely because it follows the cues of the elements of life to inform our lives. Daily Self-Care is based on the elemental nature of an individual and their unique need for balance. The blessing of Dosha Coaching is the experience of meeting ourselves where we are and making the healthiest choice for our well being. This is because when we are whole we naturally seek to express love not harm. See Yoga and Ayurveda Study Course for more information. 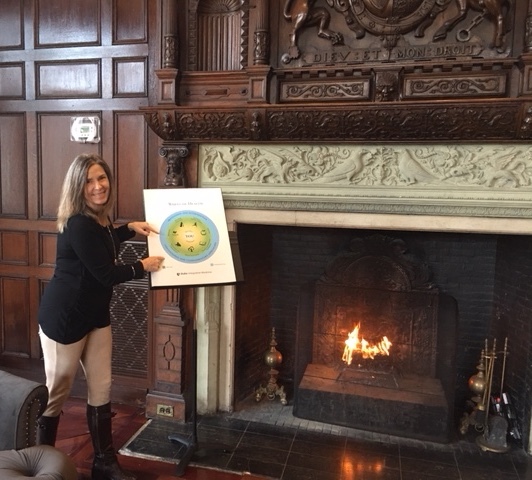 As a Duke Certified Integrative Health Coach, I provide personalized health planning and coaching around 8 domains of self-care to help cultivate healthy behaviors to improve life. I use the Duke Wheel of Health, a research-based process model, and guide clients’ own inquiry into their vision for a healthier lifestyle. To schedule a complimentary coaching session, send me an email. 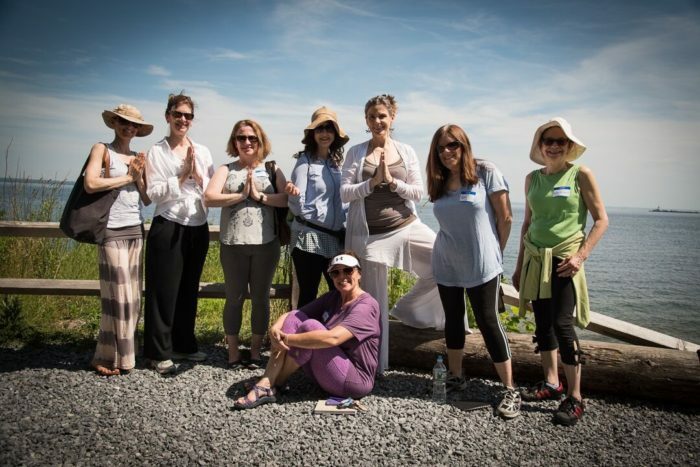 The Four Seasons of Wellness Program at Sands Point Preserve is a custom series of four retreats and four health education sessions designed to enhance health by improving self-knowledge and care. 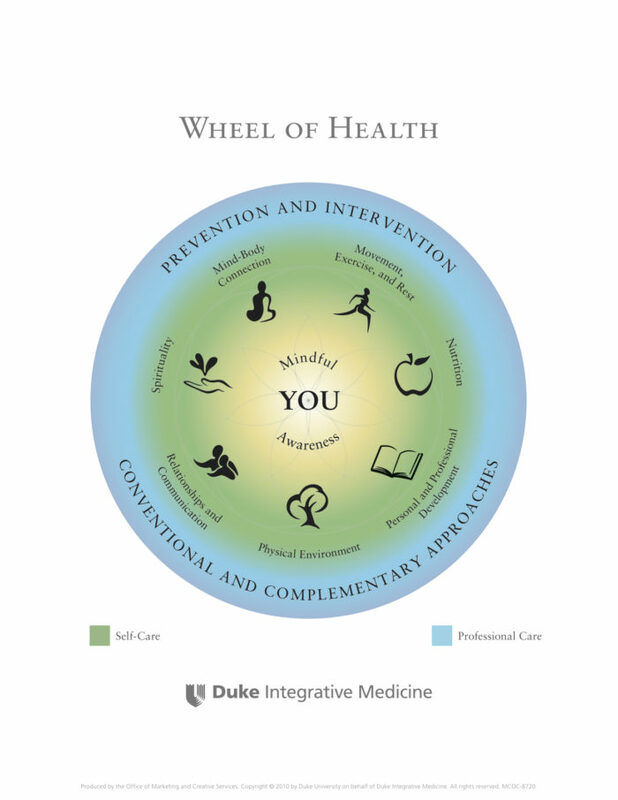 Based upon the Duke Wheel of Health, developed by Duke Integrative Medicine. Seasonal coaching sessions guide individuals in adjusting behaviors that are in sync with natural rhythms within and around us.